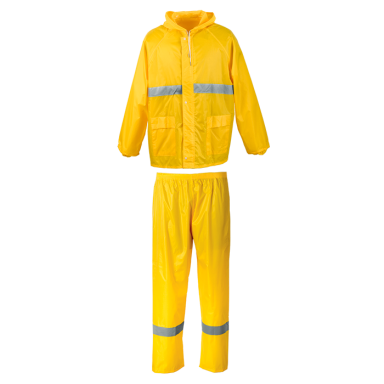 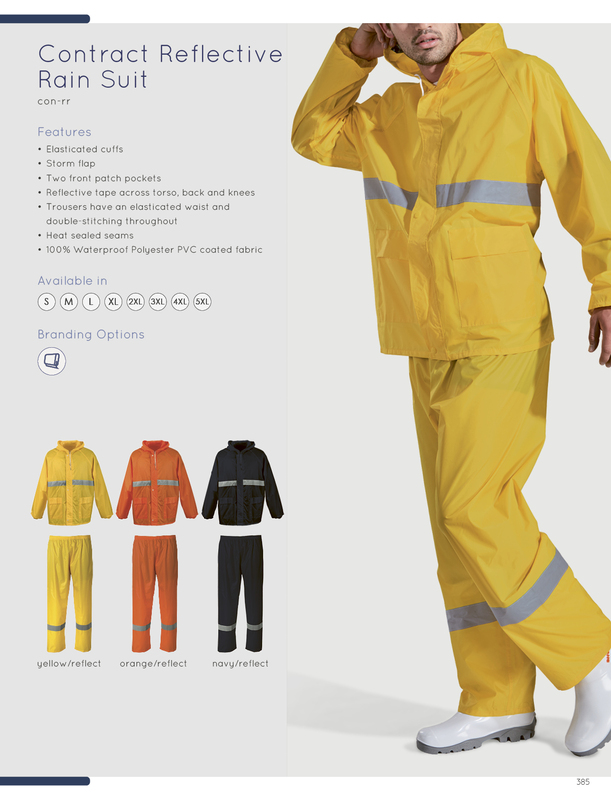 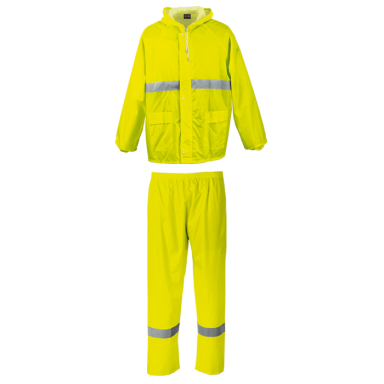 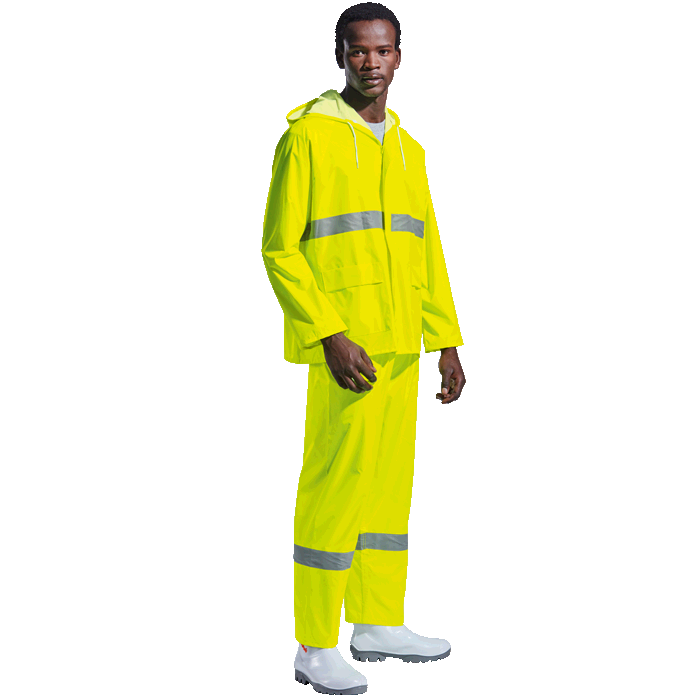 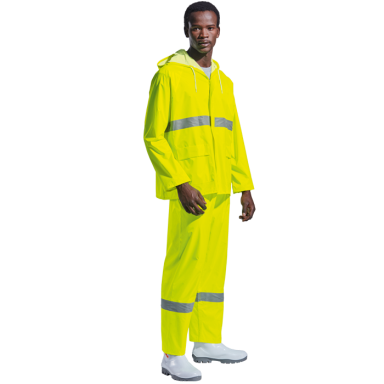 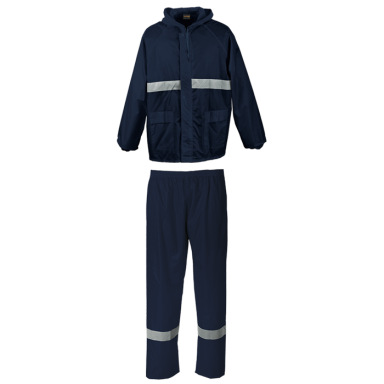 Rain jacket with two front patch pockets, elasticated cuffs and storm flap. 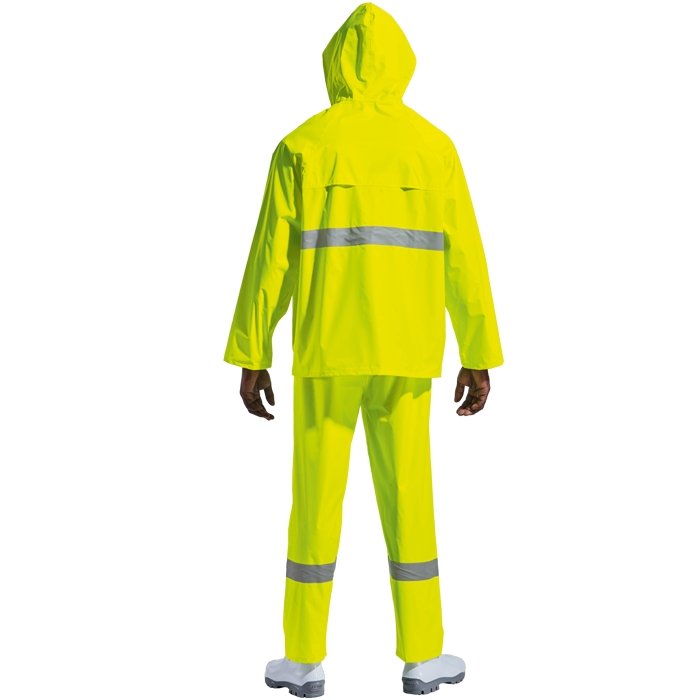 Reflective tape across torso, back and knees. 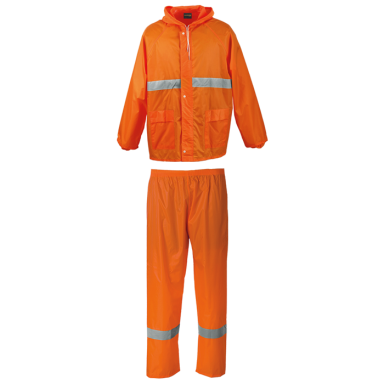 Trousers have an elasticated waist and double top-stitching throughout.